The cloud of volcanic ash drifting across Europe is continuing to make much of the continent a no-fly zone this week. It is still unclear how long that disruption will last, but the longer flights are grounded, the greater the impact will be on businesses and the wider economy. The most direct casualty of the ash is the airline industry. The International Air Transport Association (IATA) estimates that airlines are collectively losing £130m per day in lost revenues. If the disruption persists for several weeks, total losses could run into billions, having a catastrophic effect on an industry already set to lose £1.4bn this year. Travel companies are also losing out. TUI, the owner of First Choice and Thomson and Europe's biggest travel operator, says it is losing between £5m and £6m a day. 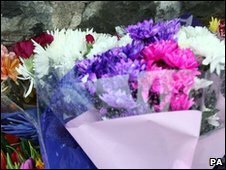 The Prime Minister Gordon Brown admitted the problem was so serious that financial help for airlines would be considered. Other transport companies are benefiting as passengers look for alternatives to flying. Eurostar in particular has seen huge demand from passengers since the disruption began on Thursday. The company said it carried 50,000 extra passengers on Thursday and Friday - an increase of nearly a third - with services effectively full. Over the weekend, it began laying on extra services, with six extra trains planned for Monday. Train services between Scotland and the south of England are also reporting a big rise in passenger numbers, as are cross-channel ferry companies. 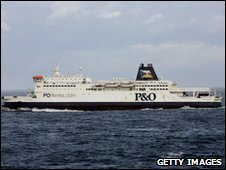 P&O ferries says its services between Spain, France, Holland and the UK are currently either full or close to full, with extra staff drafted in to the call centre to handle the huge volume of calls. The impact on the tourism industry is expected to be relatively small, if the disruption lasts no longer than a few days. As Howard Archer, chief UK and Europe Economist at IHS Global Insight, points out, it is currently not a peak time for tourism in Europe. Although the tourism industry will lose money from customers unable to make the trip, stranded passengers unable to return home will also be forced to spend more money than expected - offsetting some of those losses. Prolonged disruption could have a much greater impact on tourism, however, especially in the run-up to the busier summer months. That would also be bad timing for Greece in particular, as its struggling economy is heavily reliant on tourists arriving by air. International trade relies more heavily on road, rail and sea freight than it does on air freight. For example, just 1% of the UK's trade, by volume, is carried by air. But the disruption has caused real problems for those trading perishable goods, including food and flowers, which depend on air freight. Food exports from Africa and the Caribbean are among those hit, with reports of Kenyan farmers being forced to dump stocks of fresh food and flowers destined for European consumers. According to a report in Kenya's Daily Nation newspaper, the Kenyan economy is losing $3.8m a day as a result of flight cancellations to Europe. That scale of losses is expected to be repeated in agriculture-based economies across Africa and South America. Supermarkets' supplies of some fresh produce could soon be affected, though no problems have yet been reported by UK retailers. Meanwhile, carmaker Nissan has also announced a one-day suspension of production of three of its models in Japan because it has been unable to import parts from the Irish Republic. Businesses are also expected to lose money through cancelled meetings, stranded staff, and delays to air mail. Productivity in the UK is expected to suffer due to workers being unable to return to work, according to the Centre for Economic and Business Research (CEBR). Meanwhile, major courier companies FedEx, DHL and TNT have reported delays and disruption to their services. In the short-term, the overall economic impact of the disruption is expected to be minimal. But a prolonged period without air transport could have a detrimental effect on European economies just as they are emerging from a damaging recession, some economists warn. A drop of between 1% and 2% for European economies is not being ruled out. "That would mean a lot of European countries wouldn't get any growth this year," said Chatham House senior economic fellow Vanessa Rossi. "But the problem is, it is incredibly hard to predict what will happen. Even the geologists can't tell us."